From baby goats to tiger cubs, when it comes to fashion accessories, live animals are the new black. Tons of sparkling confetti, Cindy Lauper singing “Girls Just Want To Have Fun”, and a cartwheel-turning designer; to call Betsey Johnson's visual extravaganza a 'fashion show' would be utterly unjust. But what topped it all off was the runway appearance of a reluctant, dumbfounded guest: a baby pig. “We do applaud Johnson for her free-spirited and youthful nature, but perhaps she should have thought twice about this gimmick. We're all for partying, but that little guy might have been up past his bedtime”, wrote Kelsey Garcia, who wondered if the American Humane Society's guidelines for such cases were followed. 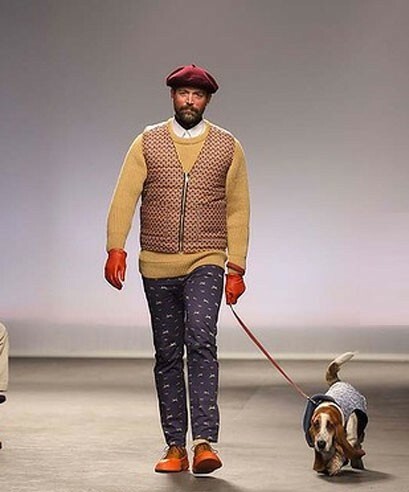 Harmless or not, the gimmicky appearance of an unlikely pet on the runway is not a first. Who can forget an equally puzzled tiger cub being carried around by model Will Chalker during a Dolce & Gabbana show a few years ago? Exotic animals aside though, we've seen a lot of designers add a canine or two for some extra flair; Betsey Johnson (again) once sent Kelly Osbourne down the runway with a black Pomeranian, Isaac Mizrahi matched his model's outfits with similarly coloured poodles, while Thom Browne for the Moncler's Fall 2011 collection went pro-hunting, using hounds as the co-stars. And then we have photographer Terry Richardson, who has spent quality time with half the animal kingdom – from shooting models milking cows for Sisley, to Lily Donaldson feeding a baby tiger for Harper's Bazaar. 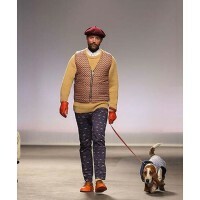 While the whole pets-as-a-fashion-accessory is an impressive spectacle, we aren't sure if it should catch on as a trend.